Why is Florence Nightingale Important Today? We are all guardians to the professions that we have educated ourselves to go forth and deliver. 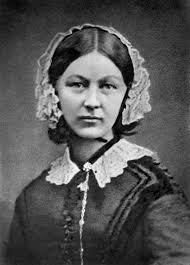 Many years of working as a nurse, then entrepreneur, film producer and author would pass before I again would think of Florence Nightingale. About 40 years. What was it about this early heroine that had meaning to me now as I approached the autumn of my career? What could be relevant from a woman who achieved recognition over 100 years ago in the field of nursing to someone, anyone, today? This tiny statured, angry, bustling woman exemplified a characteristic then that is valuable to every professional embarking on a new career path today, not just to 2.7 million practicing nurses. I first learned of Florence Nightingale, the founder of modern nursing, exactly where most people might think someone from my generation would – a Catholic nursing school in the 1970s. She was described as a “ministering angel.” This image appealed to me; I was a young woman and probably one of the last nursing students found running from her dorm to the hospital wearing a long navy blue cape over an ill-fitting white uniform. Graduation ceremonies are now occurring that will produce soon to be employed engineers, architects, physicians, skilled artists and crafts persons, all beginning careers that they entered feeing motivated to do a great job. Finding, interviewing and then achieving a coveted position will not in all likelihood include any thoughts of “bad press” or controversy associated with someone already performing the tasks that each newbie will soon be doing. Redefining, defending, prodding one’s own profession to take necessary steps to meet changing needs is rarely on the horizon at this time. Translating words from the Welcome brochure created by the HR departments during orientation to your new position, often contains information that has ideals that have been researched to be persuasive in presenting a vision that you the employee will be expected to actualize. One of the tenants of being a professional is the ability to self-govern and self-police the actions of those within your shared profession. Not doing so results in the erosion of the public’s trust if there is a disconnect in the actions that a colleague based their actions on. It’s not enough to believe that this is someone else’s responsibility to be vigilant of practices that do not serve the profession as a whole. Our own personal professional reputations are affected by the performance of our colleagues. The struggles, the successes and the failures of our colleagues will nudge you into asking yourself how much you are your brother’s keeper, are you the keeper of your profession. Patients often comment, “You know when you have a good nurse. You can just feel it.” We feel it too. As I move from providing care to individual patients to caring for my profession as a whole, contentment and pride now comes from tackling issues that were a complete turn-off to me years ago. I depended upon someone with more experience to be observant of any missteps. And now I am stepping up to utilize the breath and depth of my experience towards being a steward to my profession. This allows my fellow nurses to concentrate on you the patient. I’ll cut some slack to the next retail person that seems in a hurry to just make a sale, or the physician that was 30 minutes late for our appointment, or the attorney whose fees went way beyond the originally quoted ballpark figure, believing that my irritation is being worked on by another professional that I can’t see but who cares deeply about improving my interaction with their profession.